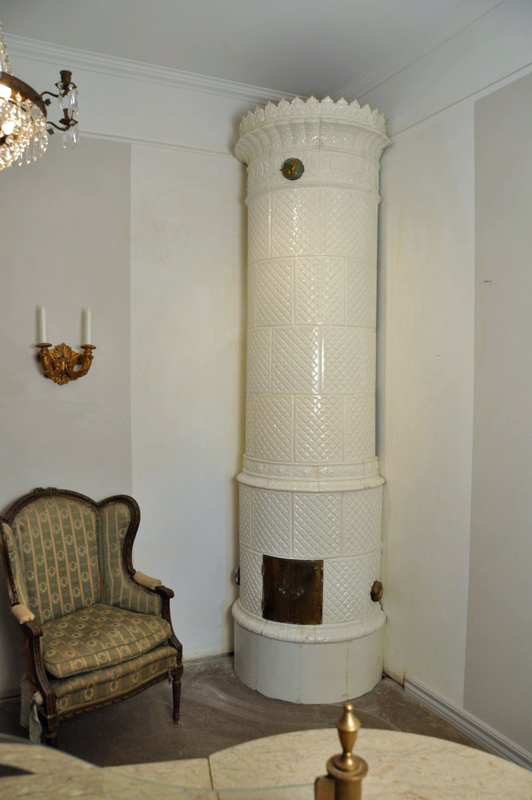 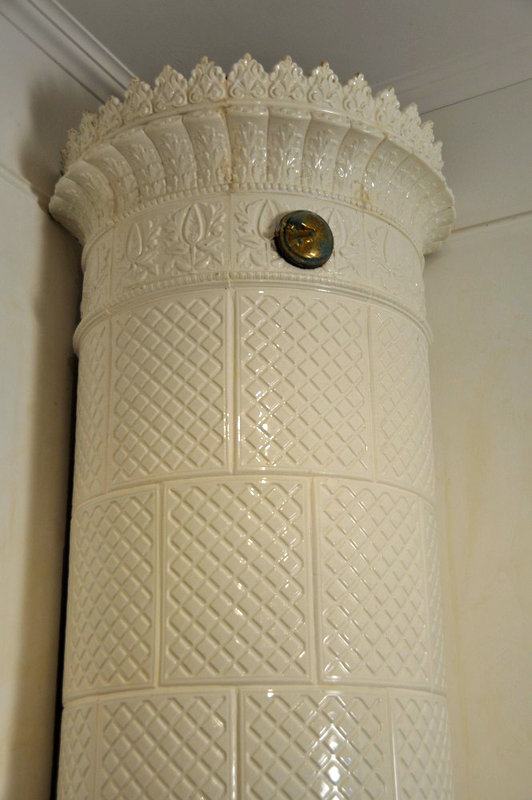 An all-white ornamented stove with a waist. 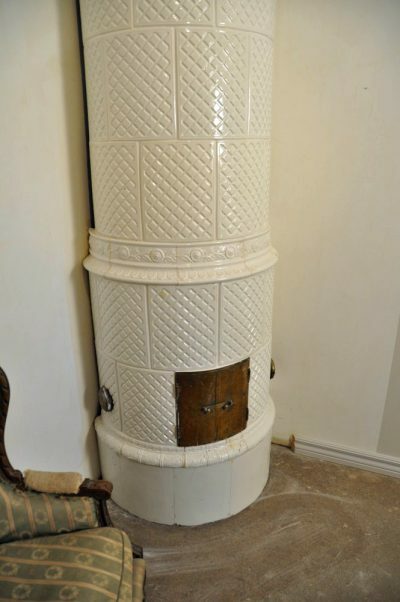 This object is in a very good condition. Manufactured in the Rörstrand tile stove factory in Stockholm circa 1900. Can be installed up to 330 cm.